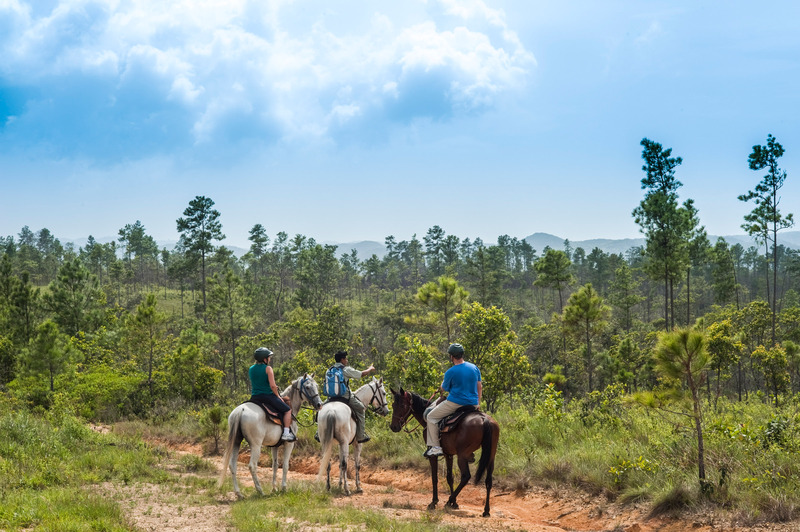 We invite you to discover the surroundings while horseback riding at Blancaneaux Lodge. 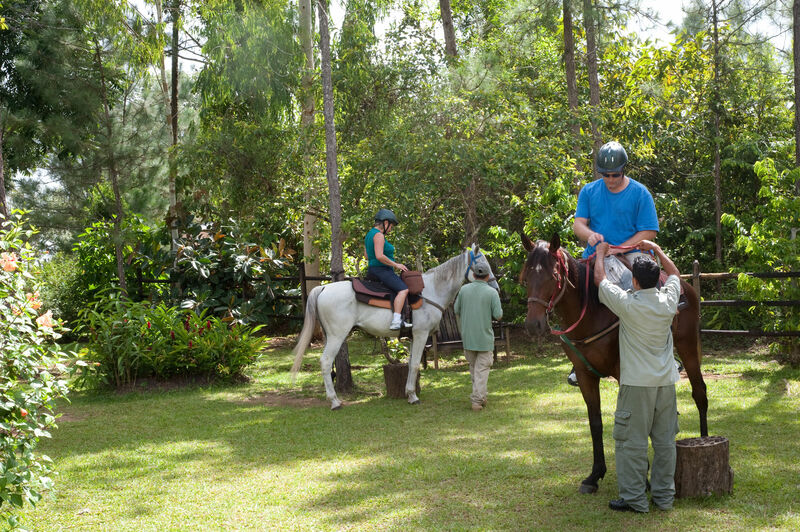 Our on-site stables are fun to visit and even more memorable is venturing out on a horseback ride. Tours are ideal for all riders, regardless of skill level. We take care to match the rider with the most suitable horse to ensure comfort and safety. Riding helmets are available upon request. 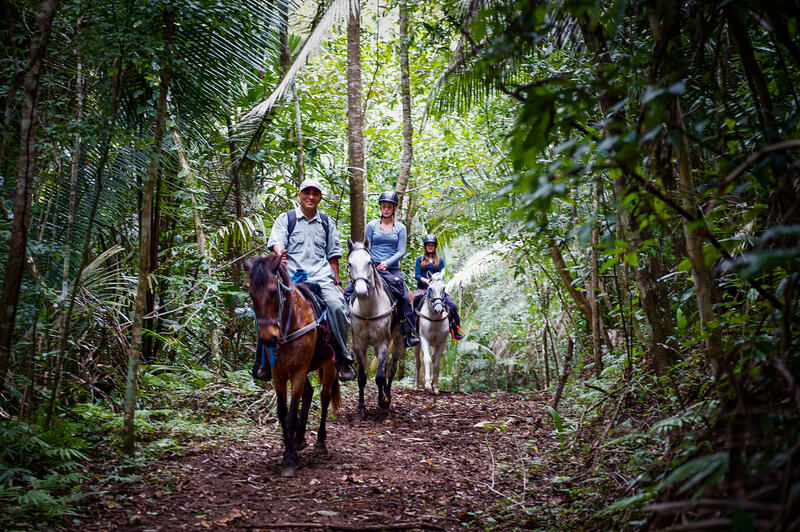 Ride into the rainforest where first light offers a kaleidoscope of colorful birds under a canopy of vines, palms, and exotic bromeliads. You may also catch sight of a whitetail deer, grey fox, and many types of butterflies. A gentle ride through the forest takes you to hidden falls. Take a break from the saddle and swim under a cascading waterfall. Recommended for beginners or those who just want a short time in the saddle. Ride through a semi-tropical rainforest and explore a hidden cave once used by ancient Maya. Swim under a crystal waterfall and enjoy a picnic lunch on the banks of the river. As the sun dips towards the horizon we ride east into the Noj Kaax Meen Elijio Panti National Park. Continue to a vantage point in the moist tropical broadleaf forest, home to jaguar, tapir, and ocelot. Enjoy the evening chorus of birdsong as the sun sets over the Maya Mountains on the ride back to the lodge.